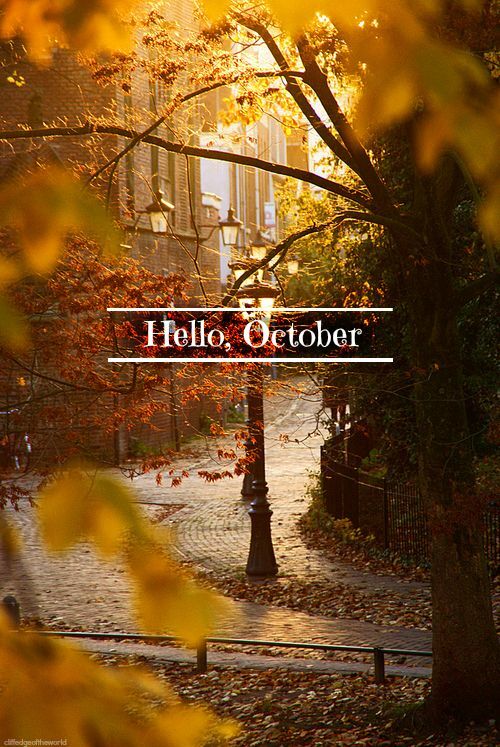 Involuntary Smiles: Why, Hello October! "Find a good book and read!" Which advice I usually follow! I have decided that for me, for this month, I will do as Groucho Marx did. 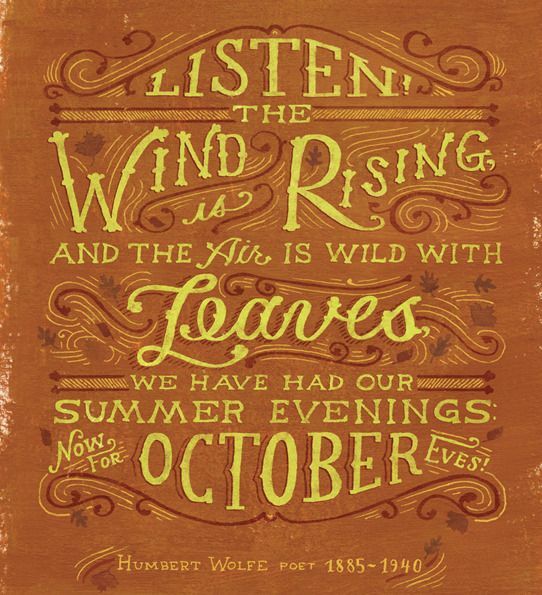 I am excited for the literary explosion that is going to go on inside my brain this month. A habit perhaps? One can only hope! It has been a long while since I have just enjoyed a good book. I think one of the last "new" books that I read was Twilight, which ruined reading for me a little. After reading that... book, I now have trust issues with books and especially with people recommending books. Everyone raved about Twilight, and me, ever eager to read a good book, rushed out and read it. Upon finishing it, I wanted those hours of reading back so I could have done something constructive and not wasteful. In my opinion, it was NOT a good book. But to be reading outside with the cool breeze whispering through the poplar trees will remind me so much of my youth and childhood. It will remind me of the times I climbed our paradise tree and spent hours up there reading books when I was a kid. I am eager to welcome those memories, emotions and books back. I hereby declare that nap-time equals reading time for me! No more filling up those hours with things like cleaning or laundry. It is a time for imagination and mind expansion! Again, I say, October is here! As is tradition, the kids and I had our October 1st party. I spent the night before whipping the kitchen into a sticky pumpkin-y mess full of treats for our party. We had candy corn popcorn balls, cranberry apple cider, pumpkin fudge, pumpkin spice oreos, and of course the pumpkin and candy corn candies. I also drew faces on clementine oranges to resemble jack o'lanterns. The spread was gorgeous, and delicious! I really should have gotten a picture of the kids around the table, but I forgot. and the kids and I have been indulging in our Halloween collection ever since. Yay! Also, Gilmore Girls finally made it to Netflix! I am not sure how that is going to work with my new goal of reading whenever a show is turned on, but I am excited that it is now available whenever I want to watch it. Another favorite about October is General Conference. I love being able to sit in my family room with my family and hear the words of a modern day, living prophet! I love that the first three talks of Conference this year seemed to be specifically geared towards me. How miraculous that the exact thing I needed to hear were spoken right off the bat. How miraculous that so many people all over the world can have their prayers and questions answered through the power of the Holy Ghost by these talks. It is amazing to me, but I am so grateful for the chance I had to hear it with my family, and for the chance I will have to listen to and read those talks many times over. In my previous post, I wrote about how one of those talks specifically touched me and helped me. Seriously, I invite everyone to listen to and read the words from Conference. They are powerful and amazing! I am so excited for the rest of this month to happen! 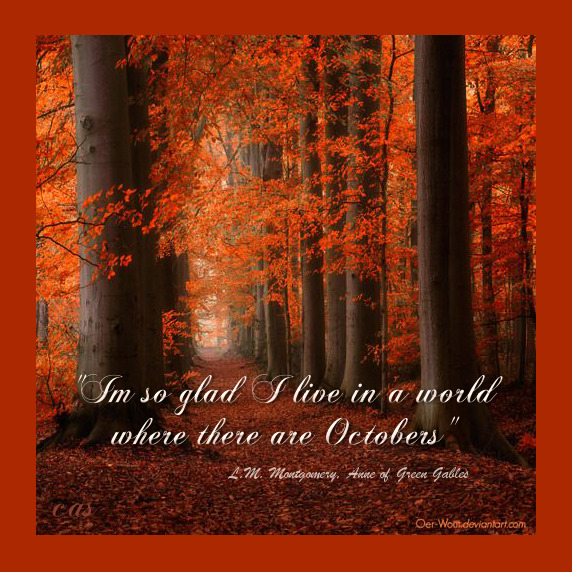 October is my favorite month, too, and not just because of conference…although that is an added bonus! Have you ever listened to the song October Road by James Taylor? If not, google it right now.